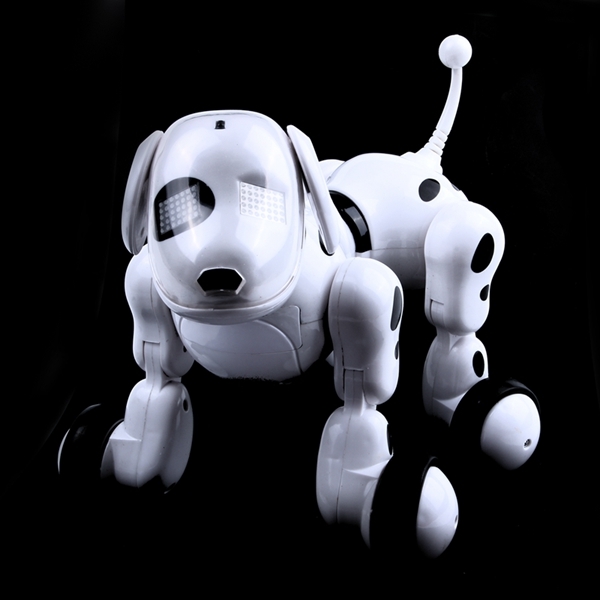 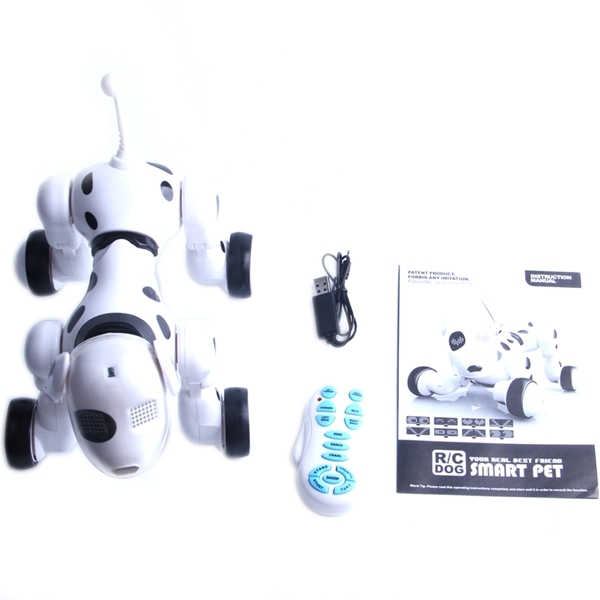 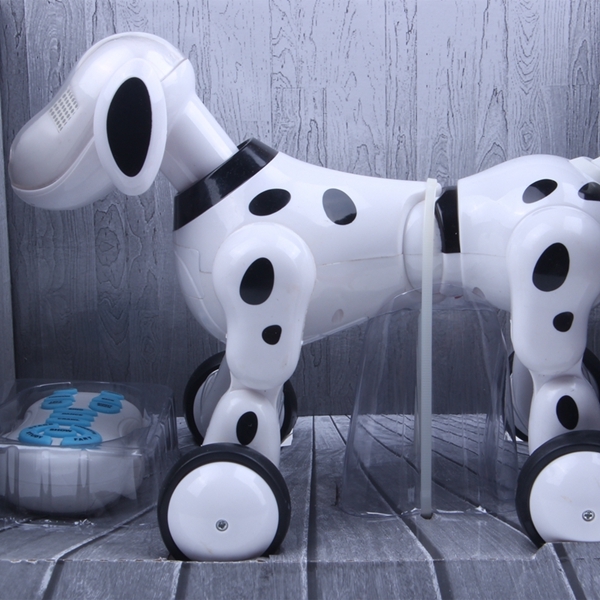 Remote control smart dog is designed with flexible joints. 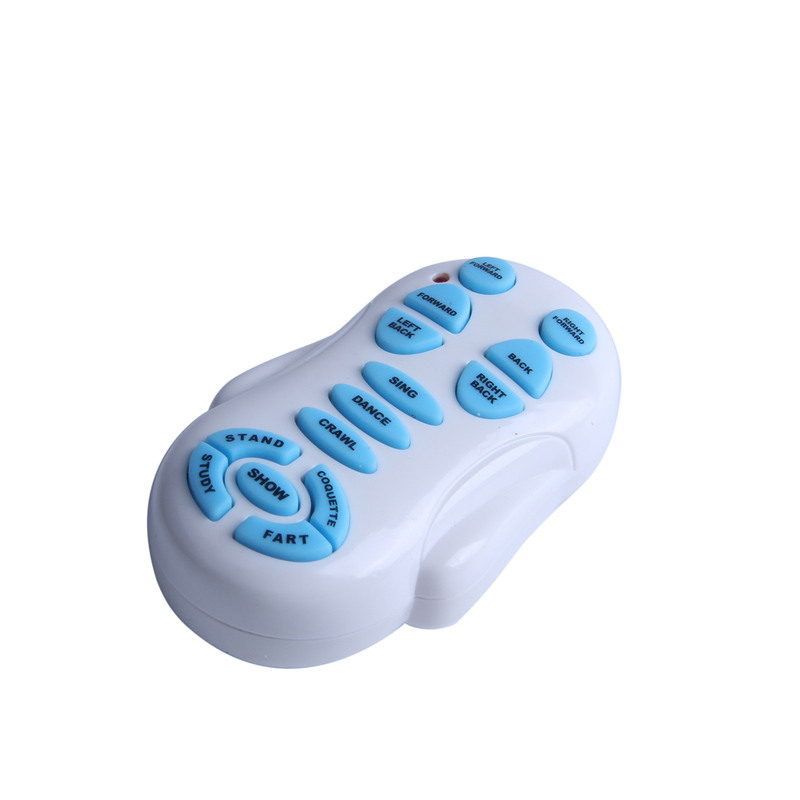 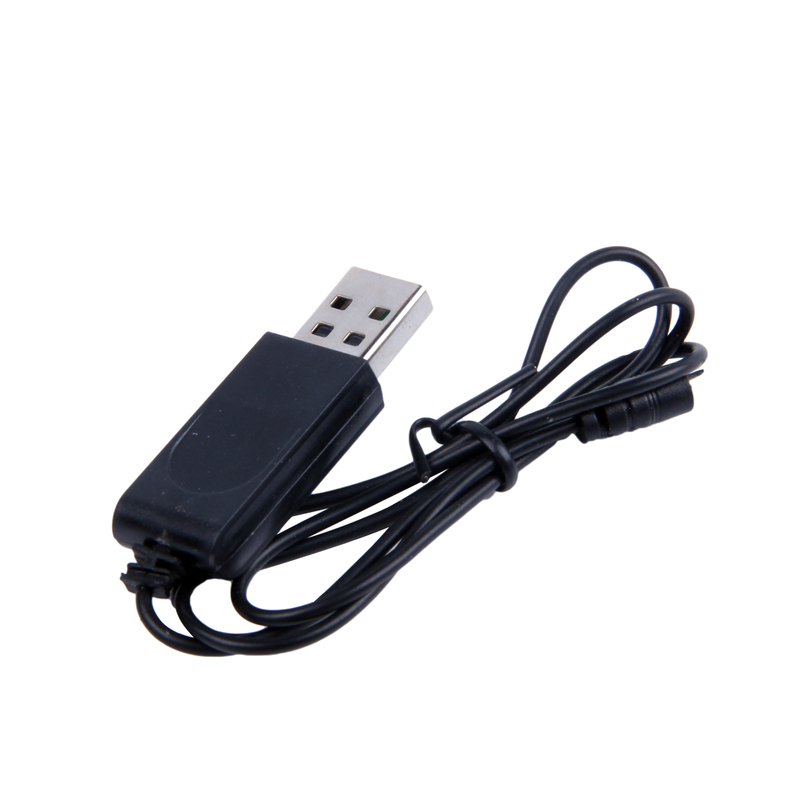 Remote control distance could be 50Ft(15meters). 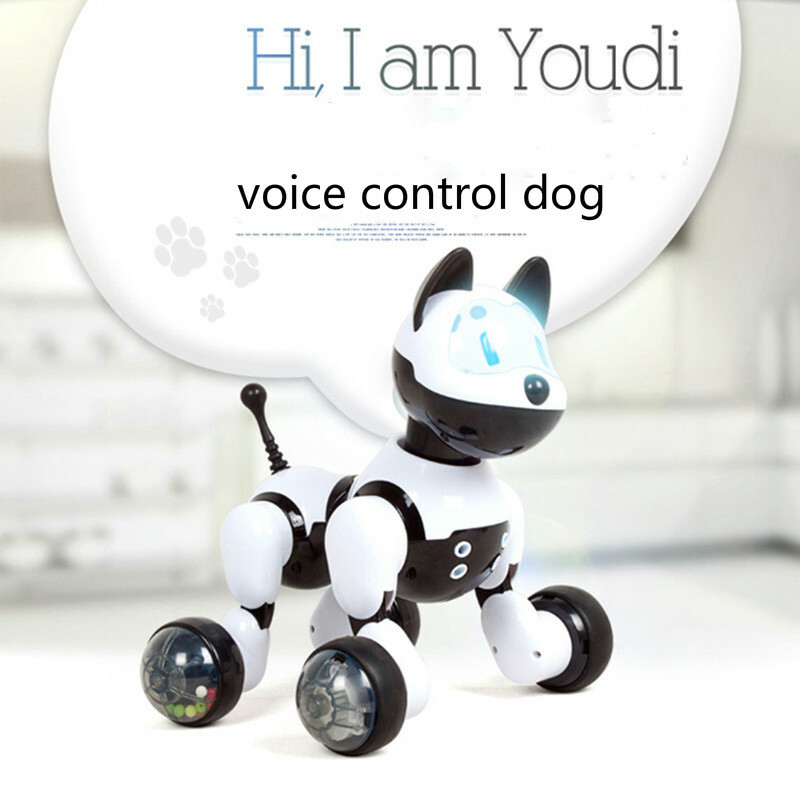 The dog can "speak" different sound to show different emotions. 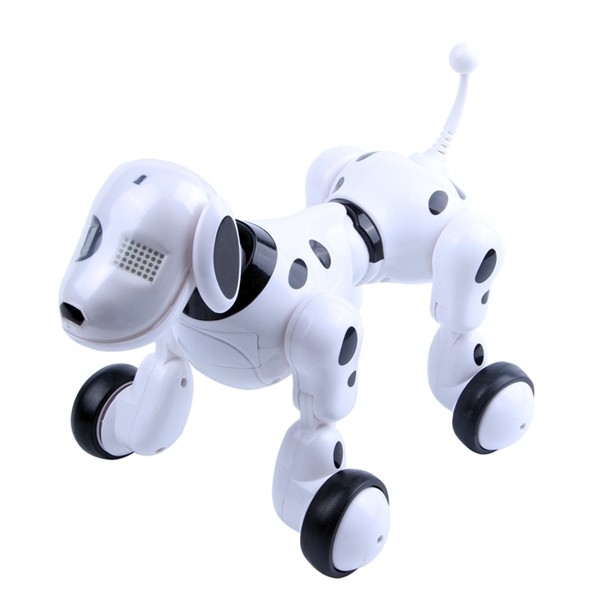 He is a cute and interactive puppy, perfect for Birthday Gift, Christmas Present.